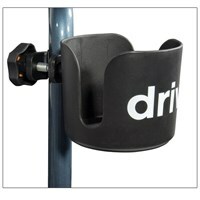 Cup holder plus storage for medicine, coins, etc. Heavy-duty rigid tray with three compartments: one large (l x w x h) 3-3/4" x 8-1/2" x 2-3/8" (9 x 22 x 6 cm); one shallow, with curved edges for medications, coins, buttons, etc. ; and a round one to hold a can, cup or glass. 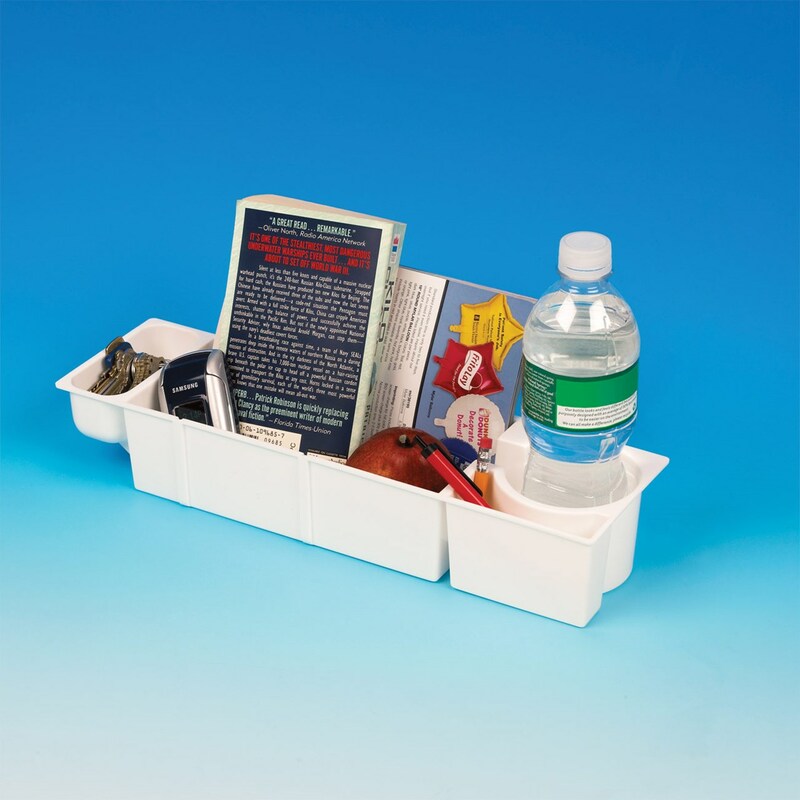 Can also be used as a stand-alone tray in the bathroom, kitchen or bedroom. Dishwasher safe.